Charles Herman grew up in Sylvania, Ohio and joined the military after graduating from Sylvania Southview High School in 1993. After serving four (4) years he was honorably discharged in 1998. 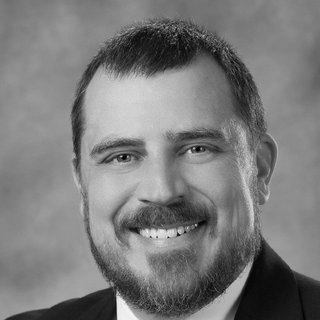 Mr. Herman then attended undergraduate college at Virginia Tech and graduated in 2002 with a Bachelor’s of Science degree in Environmental Policy and Planning. 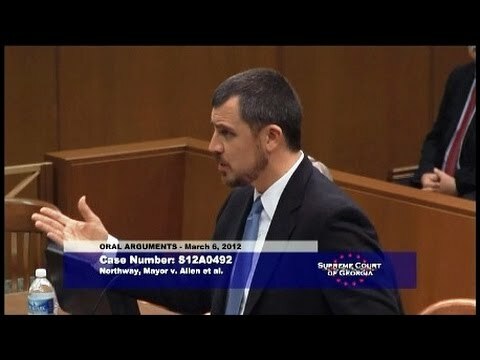 In 2002 he moved back home to Toledo, Ohio and started law school at the University of Toledo, College of Law where he graduated from in 2005, graduating with a Certificate of Environmental Law. Immediately thereafter, he joined a classmate of his in Troy, Ohio and they began a law practice specializing in criminal appointed cases, probate matters (including wills and trusts and estates), and divorce and custody matters. 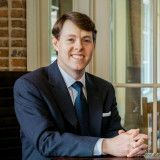 From 2008 through 2014, Mr. Herman worked in Savannah, Georgia with a regionally recognized Plaintiff’s law firm which specializes in traditional labor law, employment law, personal injury, Longshore and Harbor Workers' Compensation Act claims, and criminal law. During this time period, he provided counsel to unions and the unions’ locally administered Pension, Vacation, and Health and Welfare Taft-Hartley benefit funds and represented individuals in Longshore and Harbor Workers' Compensation Act claims, social security disability cases, civil rights cases, personal injury cases, and both misdemeanor (including DUI cases) and felony criminal cases in state and federal court. In 2014, he moved back to Toledo, Ohio and started Charles Herman Law. Mr. Herman has now returned to Savannah, Georgia. Mr. Herman is dedicated to protecting the rights of working people and his focus is on being highly responsive to his clients' questions and needs. 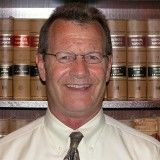 Mr. Herman is committed to his clients and the foundation of his practice is based on relationships. 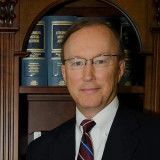 It is the goal of Charles Herman Law to provide superior legal services to working people in the Savannah and Southern Georgia area. Provide counsel to unions concerning their internal governance and member rights, organizing strategies, approaches to collective bargaining and various other issues, including collective bargaining and contract negotiation; Labor-Management Reporting and Disclosure Act compliance; representation of unions before the National Labor Relations Board including unfair labor practices and duty of fair representation claims; representation of unions and Taft-Hartley benefit funds in litigation as both plaintiffs and defendants in state and federal courts pursuant to the Labor-Management Relations Act, Labor-Management Reporting and Disclosure Act and the Employee Retirement Income Security Act; defense of unions and benefit funds under Title VII in federal courts and administrative agencies; Employee Retirement Income Security Act compliance; union grievances and labor arbitration; drafting and amendment of Employee Retirement Income Security Act benefit plans; drafting of amendments and resolutions to trust agreements; prepare forms and procedures necessary for the daily operation of the plans; review, written, and consult for the preparation and determination of Qualified Domestic Relation Orders (QDRO’s); counsel the Trustees and the plan administrative managers concerning compliance with the numerous laws affecting the plans; provide legal representation to plans with advice on numerous benefit decisions while assisting other plan professionals in matters pertaining to various issues, including the collection of delinquent contributions. Assisted in the management of the business aspects of the law office, including the human resource functions. Revised employee handbook and guidelines for support staff. Conducted recruiting to fill positions. Designed and implemented processes for law office management and for generating new business. Represented clients in various matters, including appointed criminal cases, domestic violence civil protection orders, real estate matters, probate, and family law. Activities: NELA-GA is the Georgia Affiliate of the National Employment Lawyers Association, an organization comprised of attorneys who are committed to representation and advancement of the rights of workers and who devote more than 50% of their employment related representation to employees. Activities: The Savannah Development and Renewal Authority Board of Directors is a Board made up of 25 members appointed by the Mayor and Aldermen of the City of Savannah, Georgia. The Board of Directors appoints a Technical Advisory Board of partner agencies, organizations, and downtown stakeholders to provide guidance in the development of programs and activities. Activities: Organized game watching parties and participated in fundraising to build scholarship programs. 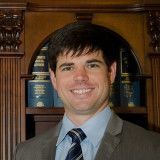 Charles Herman Law, Savannah Georgia Attorney practicing in the areas of overtime; sexual harassment; labor and employment law; personal injury and medical malpractice; contracts; and estate planning, wills, trusts, estate, and probate.